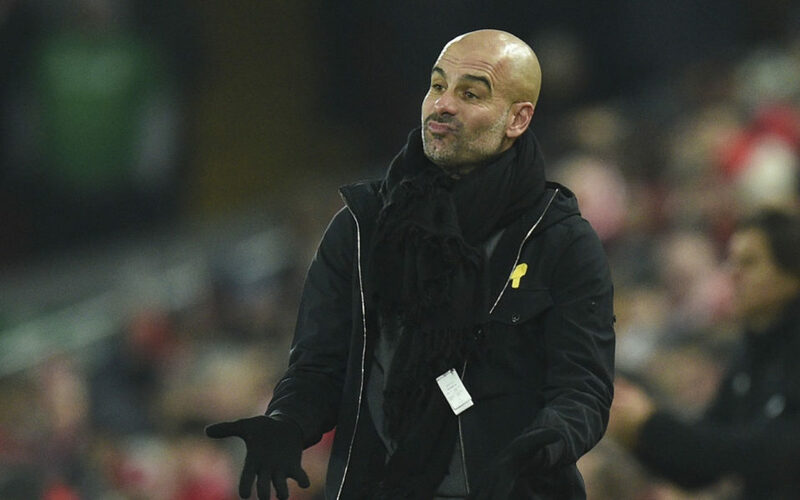 Pep Guardiola has challenged his Manchester City stars to use their dramatic 4-3 defeat at Liverpool as a warning to guard against complacency. Guardiola’s side saw their 30-match unbeaten run in the Premier League come to a stunning end at Anfield on Sunday. The leaders fell behind to Alex Oxlade-Chamberlain’s early opener and although Leroy Sane equalised before half-time, City were blown away by three goals in nine second half minutes from Roberto Firmino, Sadio Mane and Mohamed Salah. Although late goals from Bernardo Silva and Ilkay Gundogan put a flattering gloss on the scoresheet, City boss Guardiola had no complaints about his side’s first league defeat since April 5 at Chelsea. It was City’s first domestic defeat since an FA Cup semi-final against Arsenal on April 23. 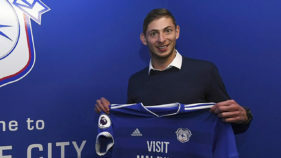 Conceding that all the talk of City winning the title at a canter and possibly going unbeaten throughout the entire season made it hard to keep his players motivated, the Spaniard said: “In every press conference for the last few months you have said that the Premier League is done. “I always said no. It is still to be done. Sometimes the worse thing is when people say from one month ago that it is over. “It’s so difficult to maintain this run, especially against good teams like Liverpool. Guardiola admitted City had lost their composure in the second half after being rattled by Liverpool’s relentless pressing and the ferocious Anfield atmosphere. “We lost a lot of balls. Liverpool are so aggressive without the ball and we had little bit of a problem to control that,” he said. Although City’s lead at the top can be cut to 12 points if second placed Manchester United beat Stoke on Monday, they remain firm favourites for the title. 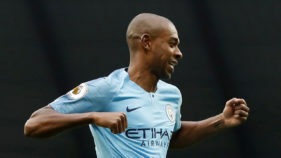 Guardiola, who will be without defender Fabian Delph for several weeks after his first half injury, believes City will use their Anfield frustration to bounce back in their next game against Newcastle. “Now we must be positive, analyse why we lost and look to the game against Newcastle,” said Guardiola, who refused to reveal if he is still in the hunt to sign Arsenal’s Alexis Sanchez. “It’s never good news to lose, but when you lose it’s important not to lose again. “We have a young team and maybe it can be good for the future. For Liverpool boss Jurgen Klopp the victory was a cathartic moment after City thrashed his team 5-0 earlier this season. 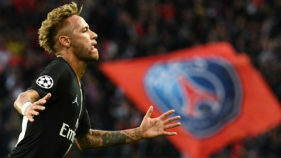 It was also significant because it proved Liverpool can still thrive without Brazil forward Philippe Coutinho, who got his wish to join Barcelona earlier this month. “To score four in the week after Phil Coutinho leaves the club is a very big statement,” Klopp said. “It’s not like we held a meeting and said ‘guys can you win today because then no-one will talk about Phil. Unlike the rest of the Premier League this season, Liverpool found the formula to knock City out of their stride. Klopp believes the game — undoubtedly one of the best in England this term — showed the need to be fearless when facing a team of City’s class. “Maybe it was a historical game, it could be the only one they lose in the entire season,” Klopp said. “They are so strong but I really think we deserved it. You need to be brave, you need to play football. “You can sit in your box and hope they don’t score but that’s not really likely.